Do you own Xiaomi Mi A1? if yes, then you need to download the drivers for your device in order to connect your to a computer or flashing stock firmware on your device. Here, you will find the drivers for your device. 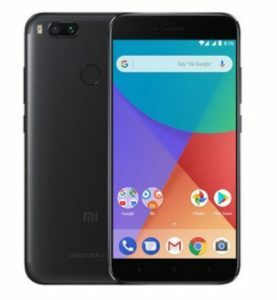 Xiaomi Mi A1 is an android smartphone that was launched in 2017, September. The phone comes with LTPS IPS LCD capacitive touchscreen. It offers 5.5 large display with a resolution of 1080×1920 pixels covered bu corning gorilla glass 3 technology. For photos and video, it include Dual 12MP + 12MP Primary camera with dual-LED flash including features and 5MP secondary camera. It offers internal memory of 64 GB with 4 GB RAM and also support micro-SD card upto 128 GB. For better performance, it include octa-core 2.0 GHz cortex-A53 Snapdragon 652 processor. The version of software on which the phone runs is Android 7.1.2 (Nougat) and you can also upgrade it to Android 8.0 (Oreo). The connectivity medium include WLAN, Bluetooth, GPS, Infrared port, Radio and USB. It is powered by Li-Ion 3080 mAh battery. The price of Xiaomi Mi A1 in Pakistan starts from 29,900. Safely download the above driver for your device and then install it on your computer.